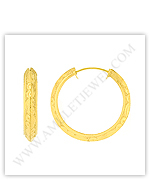 For large to small yellow gold hoop earrings and more in various types, you can simply click on your desired links or images below. 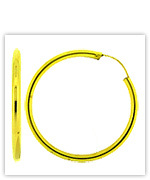 We ship your order worldwide via F e d E x, E M S, R M S, or T N T with a shipping insurance option. 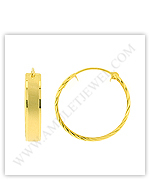 We offer you a 30-day return guarantee, a lifetime guarantee, and a low price guarantee to ensure you the quality and price of each jewelry piece. 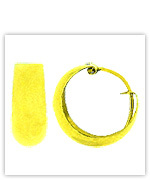 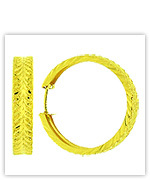 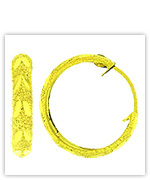 Small to large gold hoop earrings (yellow) below.